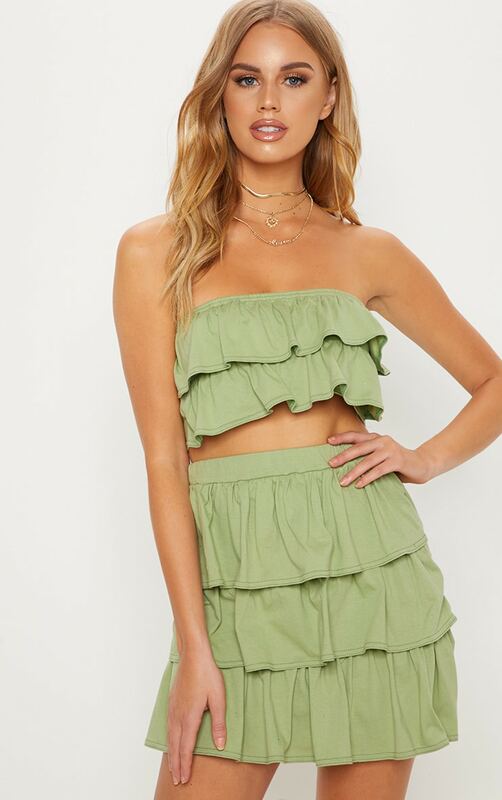 We are loving this co-ord girl for the summer season. 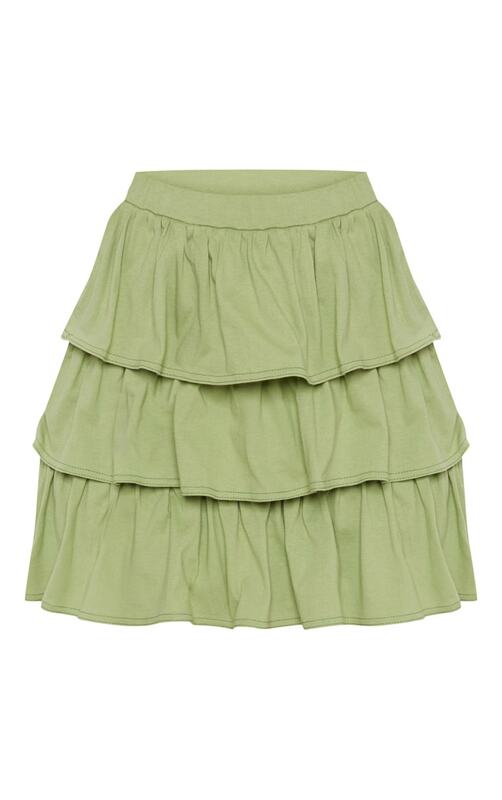 Featuring a sage green cotton material with a frill detail in a mini fit. Style this skirt with the matching crop top with flatform sandals, complete the look with a layered necklace.